Tone 10 holds the Intention of Manifestation. 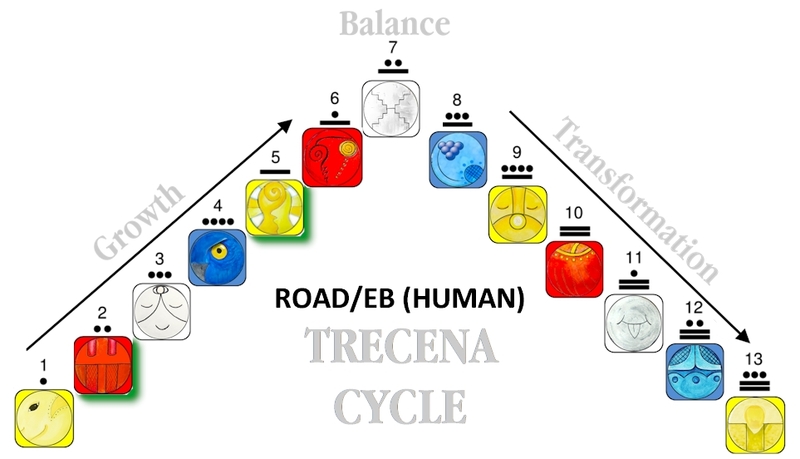 The 10th day of each trecena holds the purpose to claim the Higher Consciousness we have created. It’s a Blessing and a Responsibility. We have to Believe in the Creation and Claim it for it to exist in our Human experience of reality. The Flint/ETZNAB trecena held an Intention to Create the Dream of our Self holding the Power to create anything we Imagine and Love. This is one of the Highest Dreams we can manifest. Seeing our Self as a Divine Creator and Claiming it may seem a reach beyond our limit. Flint’s intention was to make this Truth crystal clear as Solid Truth we could easily see and claim. Deer/MANIK Knows the way to reach beyond our Human limits. MANIK is the giver of Spirit Tools. The Deer promises to share the Tools we need to overcome every Human limit. The glyph illustrates the Hand, another name for MANIK. The forefinger and thumb grasp a thread of Ether that completes a circuit of Divine Power. Deer demonstrates the direct connection through which we are able to Know all things to manifest our Dream. The circle on the Hand represents the eye of the Deer, the One that Stands in Vigilant Observation. We will see our own Manifestation through a Vigilance Observation of the Truths we Believe. Manifesting any creation relies on an Intention of a Meaning and Purpose. The Power to Create was given for a reason. The Highest Reason is the Love we imagine as the experience of manifesting our Dream. Love holds the Power to see it through from the beginning to the end. Deer/MANIK represents the Divine Reason we were created, to serve as the Hands of God on Earth, offering the same Service of Love to each other that the Creator shares with us. 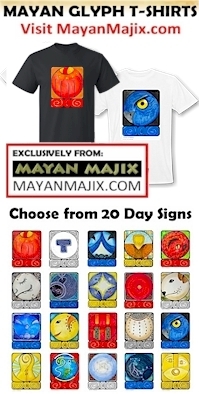 MANIK is the Day Sign of the Mayan Priest. The Mayan priest is not a preacher. The Mayan priest shares the Power of its Prayers, but is not required as an Intermediary to access this Power. The Mayan priest is the one who carries out the Sacred Ceremonies on behalf of all the people, and performs the rituals of Spiritual Healing. MANIK is a way shower, a leader by example, holding the Power that naturally draws others to follow. MANIK upholds the Pillars of Creation by Vigilantly Believing for the Whole. Through a direct connection to the Creator, Deer holds the Power to Believe. In nature we see that there is always one Deer who serves as the Observer for the Whole. One stands guard, observing the landscape, so others can carry out what they need to do. They observe every detail so establish the Strength and Protection of Divine Truth. Through a careful observation of our Self, we can See and Claim the new Truth we can believe in and stand on. Flint has helped us experience the Knowing that empowers all our Spiritual Gifts. These gifts were Created for a Reason. We were given Spiritual Experience to serve a purpose. If Human was created to merely survive and procreate new generations, what purpose would all these gifts serve? Why were they be included in our design? Why does our Happiness rely on Knowing our life has a Meaning and Purpose. Why do we feel incomplete until we Know we’ve been Seen and Loved? The Creator created everything on purpose. The perfection we see down to the smallest details suggests that a great deal of thought went into the creation of everything. The design of everything is perfect. Each element was designed by Intention to illustrate the Perfection of the Creation. Through the Gift of Consciousness we Know our True Identity has nothing to do with our body. No shape, height, weight, or form is the defining factor of who we are or what we are capable to accomplish. Wouldn’t we be limited to what the body could carry out, if that was our only meaning and purpose? The design is too elaborate not to have a Divine Purpose. We were given the Knowing to Know our Purpose was as Divine as the Design. The One Truth we need to believe is that we were Created from an Intention of Love and Given the Gift of Consciousness to Know it. The Pillars that uphold the realm of Spirit all stand by One Truth that we were created by Love to Create Love. The Creator intended us to Know Love from the Beginning and Remember it to the End. The only Gift needed to see it was Consciousness. Our Awakening to the Knowing was planned from the beginning to be easy for us to See so we could Believe and Claim it. To all my relations, may we vigilantly observe ALL the Truths we’ve been given to stand on. May we see how One Truth empowers an unlimited number of other Truths we can discover through the Gift of Knowing. May we prove our own Truth by the way we define the “I Am” we Dream to Be. May we grasp the One Thread we need to believe, that Love was Manifested on Earth. May we observe the Beauty in every direction and ask ourselves “Why?” May we observe our own ability to Know the difference between Human Love and Divine Love. Human Love is something we hope we can find or will happen to us. Divine Love is always ours to Choose and the Choice will always Manifest itself under the Intention of Divine Justice, creating an Equal Experience of Love for both the Giver and the Receiver. May we Acknowledge the Divine Love of the Creator, that we were Designed to Know as Love that even exceeds all our Gifts of Knowing. May we Believe the Creator intended this On Purpose, so Human would never reach the End of the Love there to Know. In the image of the Creator, we would always have a reason to Rise and Shine again. I’m grateful that the Creator saw our Design as Perfect enough to share the same Divine Power of Creation. I’m grateful for Love that was the Gift that completed our Perfection.